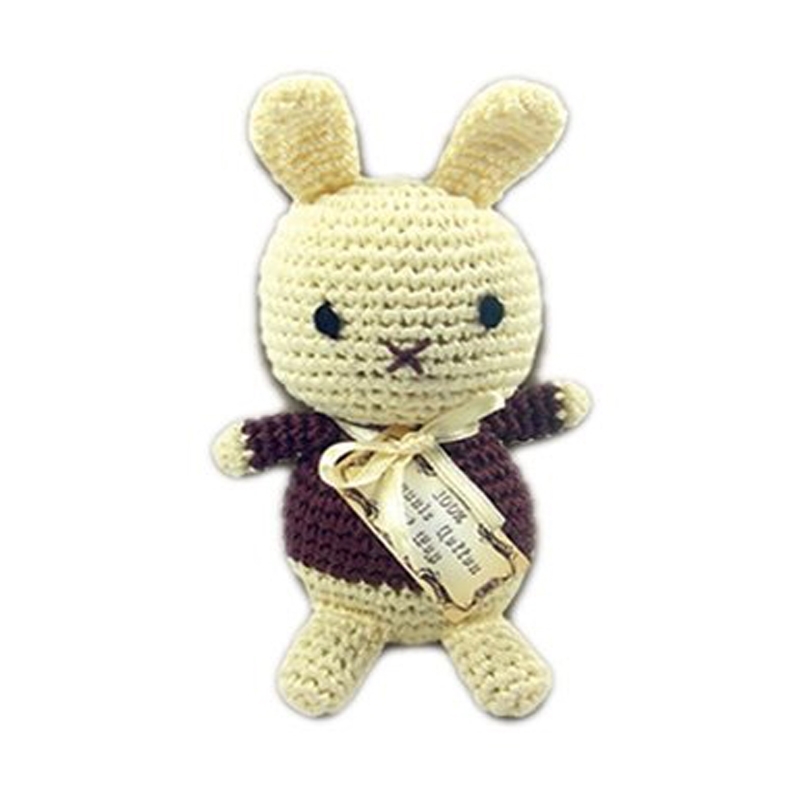 Knit Knacks Foo Foo Bunny Dog Toy by Pet Flys is a 100% organic cotton hand crocheted toy for small dogs. Measures approximately 4" H 2" W and includes squeaker inside for playtime fun! Please supervise pets when playing with toys as no toy is completely indestructible.